BOFT deputy director general David Hsu (3rd from left), TAITRA chairman Francis Liang (center), TEEMA chairman T.C. Kuo (3rd from right), TTVMA committee chairman Juang Jan-pei (2nd, right), and other VIPs open the 5-in-1 mega show. The highly promoted automotive, powered two-wheeler (PTW) and e-vehicle trade show held April 8-11, 2015 in Hall 1 of the Taipei World Trade Center as well as the Nangang exhibition complex was a 5-in-1 event this year. Held by the semi-official trade promoter Taiwan External Trade Development Council (TAITRA), the show literally offered practically everything automotive, motorcycle, e-vehicle, including related equipment and accessories, consisting of the Taipei International Auto Parts & Accessories Show (Taipei AMPA), Taipei International Automobile Electronics Show (AutoTronics Taipei), Taiwan International Motorcycle Industry Show (MOTORCYCLE TAIWAN), EV TAIWAN (Taiwan Int'l Electric Vehicle Show), and Taiwan International Tuning & Car Care Show (TUNING & CAR CARE TAIWAN), with the latter being a new addition to the program. The 5-in-1 mega show, according to the trade promoter and organizer TAITRA, hosted a combined total of 1,401 exhibitors manning 3,816 booths. The event offered just about everything for buyers sourcing parts and accessories for vehicles powered by internal combustion engines and electric motors. This year, foreign exhibitors came from 13 nations, including Thailand, Malaysia, China (with booths in a national pavilion), Germany, Canada, New Zealand, Japan, South Korea, Hong Kong, the Philippines, Singapore, Indonesia and Vietnam. TAITRA chairman Francis Liang (second from left) tours the show at TWTC Nangang Exhibition Hall with other VIPs. In addition to record numbers of exhibitors and booths, TAITRA says, the event attracted some 6,665 international buyers from 135 nations (a record for visitor countries). The top-10 visitor nations included Japan, China, the U.S., Malaysia, Thailand, Hong Kong, South Korea, Singapore, Indonesia and Egypt. TAITRA also organized a total of 301 one-on-one meetings between suppliers and buyers, with the format being more efficient than for buyers unfamiliar with large-scale trade shows to independently browse the showground. The 2015 5-in-1 mega show sets a record as the largest held in Taiwan with 1,401 exhibitors manning 3,816 booths. This year, Shinichi Yamashita, president of F.C.C TSR Honda, the official motorcycle race team of the eponymous motorcycle maker from Japan, attended the exhibition and said that 80 percent of the parts on the CBR-1000RR racing bike ridden by the team are from Taiwan, which also serves as testament to the precision and quality of such parts to praise Taiwanese makers' capacity to turn out topnotch PTW parts. An exhibitor demonstrates a product to foreign buyers. 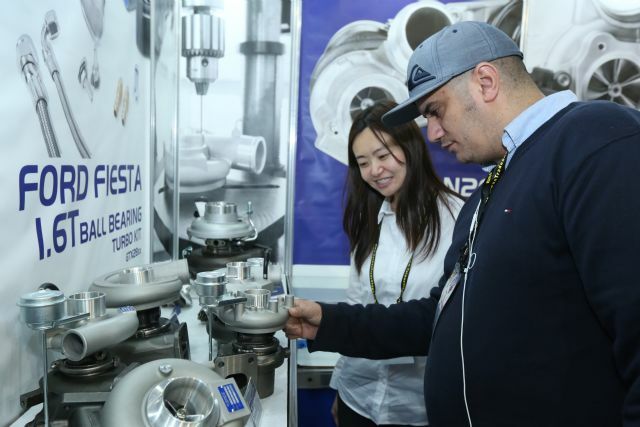 Buyer groups from East Africa and North Africa visited the 5-in-1 show the first time this year. 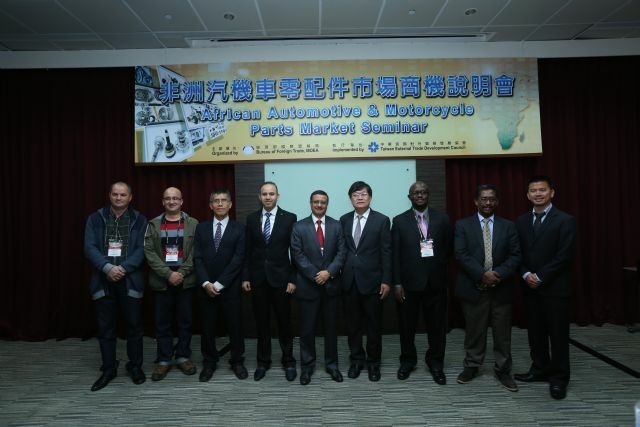 Sudwan Co., Ltd. from Sudan said they first visited the show in 2014 and subsequently set up a branch in Taiwan to procure and export auto parts. There were more than 20 buyers from Algeria, of which six have placed orders with Taiwanese manufacturers. According to the general manager of the Algeria Industrial Subcontracting Association, Laib Azziouz, the association is implementing the collaboration program between French carmaker Renault S.A. and foreign suppliers, opportunities that he urged Taiwanese companies to tap. 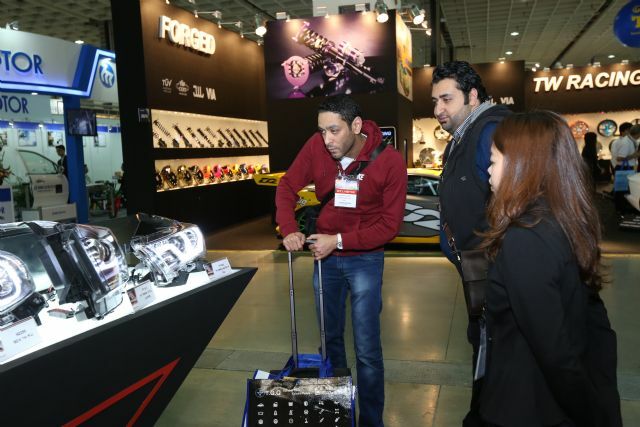 A total of 149 Egyptian buyers visited the show, representing an 88.6 percent growth from last year. The Egyptian merchandiser AC Hoda Co. Cairo pointed out the diversity of products in this year's show, and that it is worth visiting again next year. To again facilitate and offer incentive to visit the 5-in-1 event, TAITRA and the overseas branches of the Ministry of Economic Affairs (MOEA) arranged procurement trips for foreign buyers with annual turnover over US$10 million. In addition, 41 key foreign buyers and 125 Taiwanese manufactures were organized to participate in one-on-one procurement meetings, which have business potential estimated at US$18.53 million, with follow-up trade opportunities of approximately US$24.4 million, TAITRA says, which is a 47.7 percent growth compared to last year. Advance Auto Parts (Wikipedia: Advance Auto Parts is headquartered in Roanoke, Virginia and the largest retailer of automotive replacement parts and accessories in the United States) praised the high quality of Taiwan-made products. Key Safety Systems Gmbh from Germany, which has been in the auto parts industry for 20 years, lauded Taiwan's excellent supply chain for airbags and metal parts. Rsp Automotive & Industrial Pty Ltd from Australia said they find many new products and technologies in Taiwan every year they visit the show and are very satisfied with the quality of the products, price and services of Taiwanese manufacturers. At the joint opening ceremony, Francis Liang, chairman of TAITRA, thanked all the officials and executives for their presence, including David Hsu, Deputy Director General of Bureau of Bureau of Foreign Trade (BOFT); Juang Jan-pei, chairman of Auto & Motorcycle Component Manufacturing Committee, Taiwan Transportation Vehicle Manufacturers' Association (TTVMA); Lin Chin-chih, Permanent Director of Taiwan Rubber & Elastomer Industries Association (TREIA); T.C. Kuo, chairman of Taiwan Electrical and Electronic Manufacturers' Association (TEEMA), etc. TAITRA chairman Liang pointed out the notable feature of this year's 5-in-1 event being the addition of the inaugural TUNING & CAR CARE TAIWAN, which, along with Taipei AMPA and three other shows, hosts almost every reputable local supplier. Hailing from 13 countries, 205 international exhibitors this year displayed auto products in designated areas including the national pavilions for the Thai and Malaysian delegations, a cross-strait auto parts collection for Chinese companies, with AutoTronics Taipei, EV TAIWAN and MOTORCYCLE TAIWAN rounding out the program to serve buyers looking for auto electronics, electric vehicles, and motorcycle parts. TTVMA committee chairman Juang said in the opening ceremony that Taiwan's modestly-sized automobile market, with only approximately 380,000 vehicles produced throughout 2014, has fortunately created a unique business model characterized by suppliers obliged to fill orders of small-quantity, high-diversity components. Such production expertise is one of unmatched global competitiveness of local motorcycle and automotive parts manufacturers who specialize in the production mode critical to the global aftermarket parts market. TEEMA chairman Kuo said that with oil prices relatively low and the U.S. economy recovering, the global automotive industry is expected to see reasonable growth in 2015. To harness that growth momentum, companies across Taiwan's ever-converging auto industries — including those with ICT expertise — should partner with industrial research institutes and government to develop core auto electronics and EV technologies using their existing, effective and flexible manufacturing model. By jointly creating a platform to advance ready-to-drive vehicle solutions, the chairman added, they can then demonstrate intelligent EVs and, through supply chain integration, tap opportunities in the huge auto electronics and EV market by leveraging Taiwan's vehicle telematics, multimedia, semiconductor, software, GPS and Wi-Fi R&D capabilities. 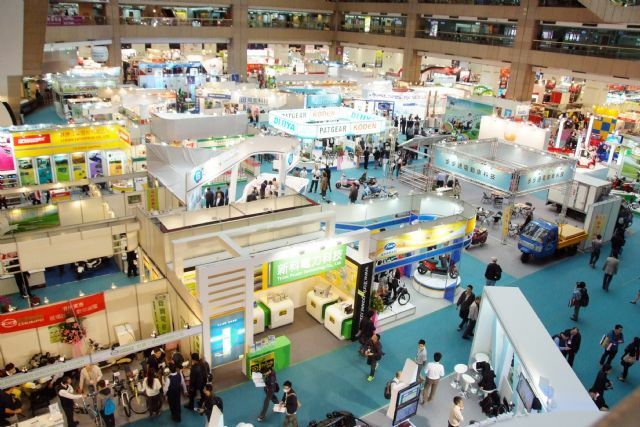 The 5-in-1 Taipei Mega show has a reputation for quantity of buyers and excellent exhibition service, which explains its extensive support from Taiwanese manufacturers and popularity among foreign suppliers. National pavilions at the 2015 show. Thailand, the world's largest manufacturer for pick-up trucks, ranks No. 1 in Association of Southeast Asian Nations (ASEAN) and No. 9 worldwide for vehicle production volume, as well as No. 13 globally for vehicle export volume. This year, the Thai pavilion was again organized by the Department of International Trade Promotion (DITP) with 13 Thai exhibitors using 14 exhibition booths, which displayed products such as engine parts, electrical engine parts, engine accessories, brake systems, car bodies and parts, headlights, rubber and plastic components, chargers and lead-acid batteries. The Malaysian Rubber Export Promotion Council (MREPC), an agency under the Ministry of Plantation Industries and Commodities, led seven automotive parts makers to showcase products across 9 booths at the Malaysian pavilion. The products shown included O-ring pads, rubber tubes, fuel hoses, engine bushings and spring hangers, as well as high-quality rubber accessories. 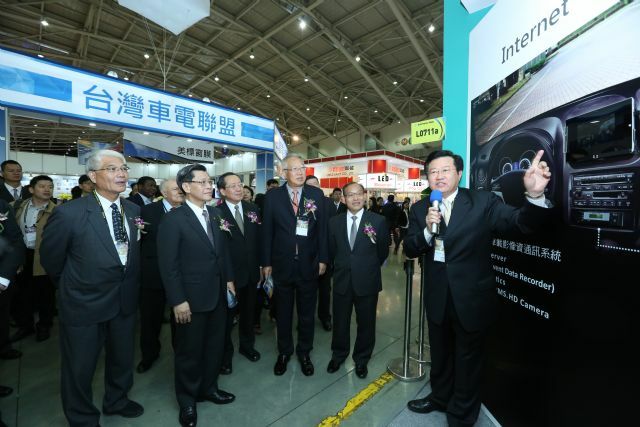 The Cross-Strait Economy and Science Cooperation Center (CSESC) of China led a group of 110 Chinese corporations using 120 booths at the Cross-Strait Auto Parts Show, which exhibited wheel covers, auto lamps, tail lights, backup lamps, aluminum alloy rims, brake pads, rearview mirrors and reverse backup radars. 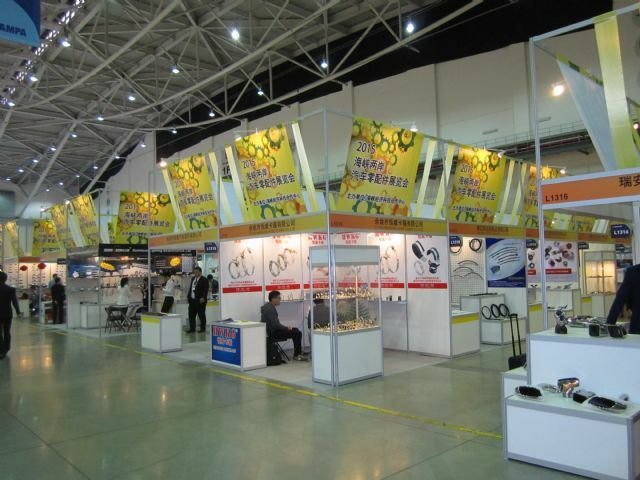 The Cross-Strait Motorcycle Parts Show hosted a group of 10 vendors across 12 booths. The China Council for the Promotion of International Trade (CCPIT) also organized 15 companies at the Cross-Strait Electric Vehicle Show, where the exhibitors manned 20 booths to display lithium-ion batteries, power batteries, electric bikes and motorcycles. Taiwan's makers of automotive parts and accessories have honed their expertise for decades by filling mostly aftermarket orders for global buyers, with the island now being one of the world's largest exporting countries of aftermarket (AM) replacement auto parts. Data from TTVMA show Taiwan's auto parts exports totaled NT$197.9 billion (US$6.6 billion) in 2013, up 1.6 percent from the previous year. In the first nine months of 2014, exports hit NT$154.4 billion (US$5.15 billion), a 4.6 percent increase from the same period of 2013. The major exports include tires, automotive lighting, electric parts, suspension and transmission systems, engines, wheels and braking systems, with the top-five export countries being the US, Japan, China, UK and Germany. Taipei AMPA has always enjoyed solid reputation as an automotive parts event, with more than 1,000 firms using about 3,000 booths this year. Some of the well-known suppliers from Taiwan at the show included Tong Yang, Depo, Eagle Eyes, Sonar, TYC and Sirius. AutoTronics Taipei, an event held simultaneously, hosted more than 100 firms that manned about 240 booths, in which the notable suppliers included Taiwanese brands as Tung Thih, E-Lead, Mobiletron, Whetron, etc. The Taiwanese government has been aggressively supporting the EV industry in recent years to promote the use of clean energy. Ten pilot projects have been carried out within three years, as phase one of the "Development Strategies and Action Plans of Smart Electric Vehicles" launched in April 2010. The phase two begun in May 2014, which aims to establish a new industry focusing on key auto parts manufactured in Taiwan. Around 37,000 electric scooters are expected to be produced in four years, generating a yearly profit of at least US$183.33 million. 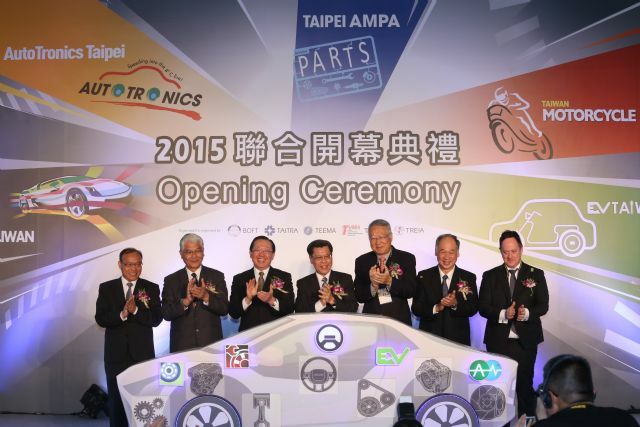 Taiwan is recognized for having potential as production base of EVs and key parts. To help Taiwanese suppliers expand domestic and international market shares, the Bureau of Foreign Trade, MOEA, launched the trade show EV Taiwan in 2011 with the support of TAITRA, TTVMA and TEEMA. 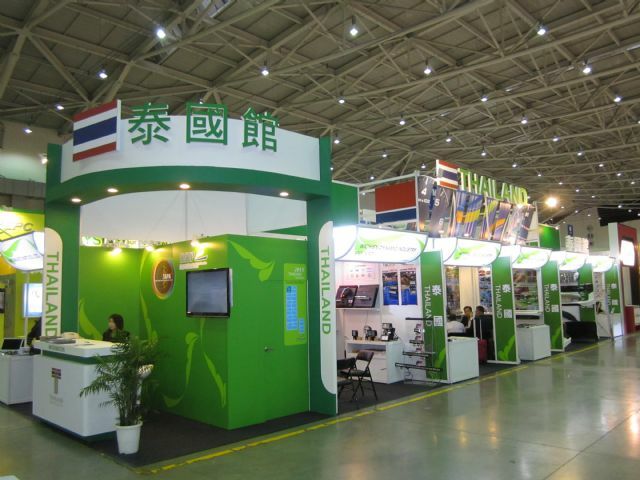 More than 75 firms occupied about 240 booths at the EV Taiwan 2015, including Phisiang, Bu Bu Tong, Dijiya and Kuan Mei, which are leading EV suppliers in Taiwan, as well as Neues Japan. 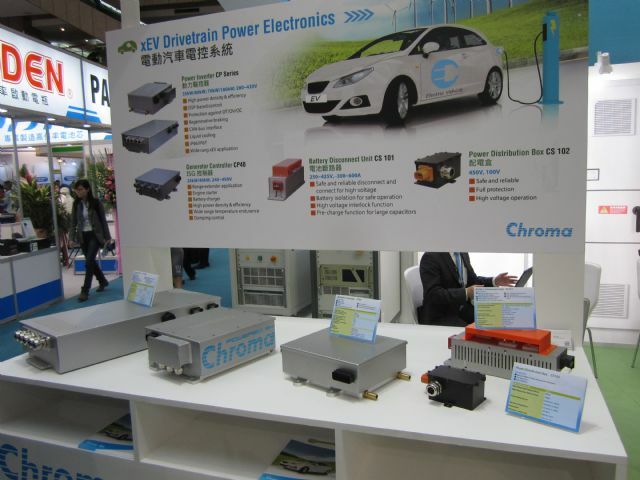 The main products on display ranged from parts/accessories and charging devices to electric vehicles, such as motor inverters, charging station devices, battery modules and inspection systems. Taiwan is a recognized production hub of OE parts as well as branded performance parts for all kinds of automotive and PTW applications. The island is widely regarded as a world-class supply base of automotive performance parts and accessories, offering quality, innovative, and reasonably-priced products carrying international brands on OEM/ODM basis. 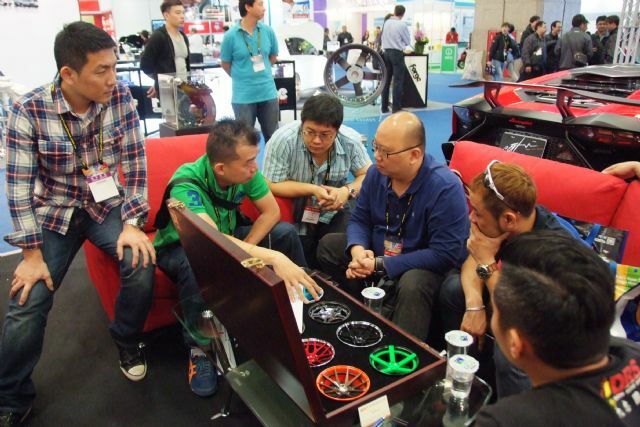 Taiwanese suppliers, despite rivalry from emerging nations, have managed to maintain competitive advantage thanks to superior new-product development speed, product comprehensiveness, quality, and competitive pricing relative to international brands, features of which were amply evident at Tuning & Car Care Taiwan 2015. Taiwan's Ministry of Finance statistics show some 2,626 auto care shops in Taiwan, which generated total revenue of about US$144 million throughout 2013. An estimated 7.2 million registered vehicles on the island (including coaches and trucks) in 2014, with per-vehicle maintenance outlay of US$440 annually, have the potential to contribute US$3.1 billion to the market. Seeing such market potential, TAITRA therefore added the show to the program to help local and overseas suppliers build new business, network, and find new partners and ventures. The major product categories at Tuning & Car Care Taiwan 2015 included Tuned Cars & Motors, Tuning Accessories, Tuning Services Chain Stores, Car Care Services Chainstores, Car & Motor Spray Paint, and Coating and Repair Products and Tools. With more than 95 percent of motorcycles on the island domestically produced, Taiwan boasts a complete supply chain of bike parts and accessories that serves the home market and supports its global expansion. In 2014, 667,390 bikes were sold in the domestic market, 25 percent more than in 2013. From January to September, 2014, 261,805 bikes were sold globally, primarily in Japan, Columbia and Spain. Exports to Spain, in particular, increased by nearly 40 percent. 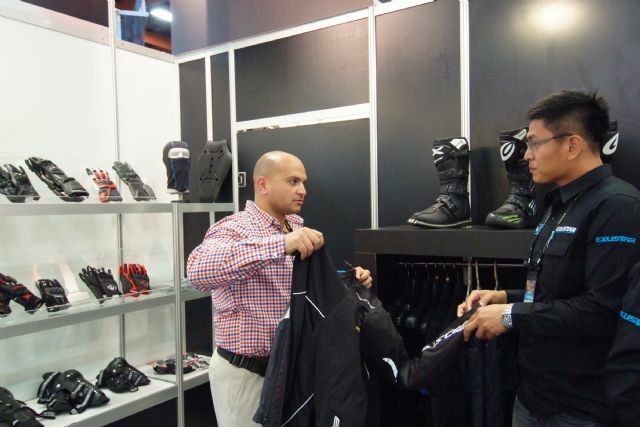 Interaction between supplier and buyers at the show. Taiwanese motorcycle and accessory vendors have on tap sophisticated design and manufacturing technologies, with Taiwanese PTW brands, parts and accessories being widely recognized both at home and abroad. The 10th Motorcycle Taiwan in 2015 attracted 135 firms who booked more than 270 booths, which hosted Taiwanese exhibitors as NCY, Yih Jing, Ming Ming and King Tony, as well as global brands including EMU and Over Racing Projects from Japan. As part of TAITRA's effort to encourage new product R&D among exhibitors, representatives of industry, experts and academia jointly selected 25 Innovation Awards winners in five categories of automotive parts, automotive accessories, automotive electronics end products, automotive electronics parts and others. The competition is based on five criteria: innovation, contribution to industry, market value, energy efficiency and aesthetics. The winning products were displayed under the themes as artificial intelligence, renewable energy and artistry in Nangang Exhibition Hall's Light Gallery during the show. An overseas market seminar held during the 2015 show. The 5-in-1 show also included an array of educational and thought-provoking presentations and seminars, including events titled “Looking Forward to the Vehicle Industry Transformation; Innovation, Challenges and Opportunities”, “The Future and Business Potential of Electric Vehicles” and market-specific seminars and industry forums addressing trends in the Australian, Indian and African auto market. According to TAITRA, the 2016 Taipei AMPA, AutoTronics Taipei, MOTORCYCLE TAIWAN, EV TAIWAN, and TUNING & CAR CARE TAIWAN will be held again in the 5-in-1 mega show format at the TWTC Nangang Exhibition Hall and TWTC Exhibition Hall 1 April 6-9, 2016, with registration scheduled to commence in August, 2015. Interested parties may find details on the official website www.taipeiampa.com.tw.